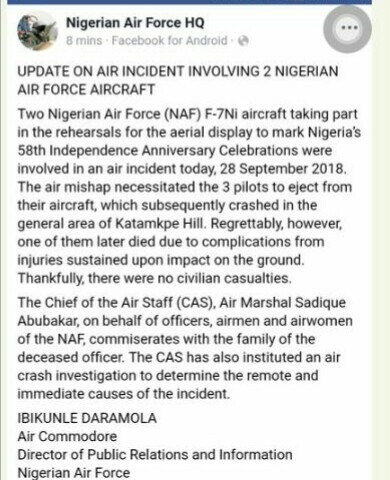 As we reported earlier, two F-7 aircrafts crashed yesterday while they were practicing for the October 1st Independence day. Two pilots namely Flt. Lieutenant Ambi and Flt. Lieutenant Abutuba survived because they managed to eject before the aircraft went down. 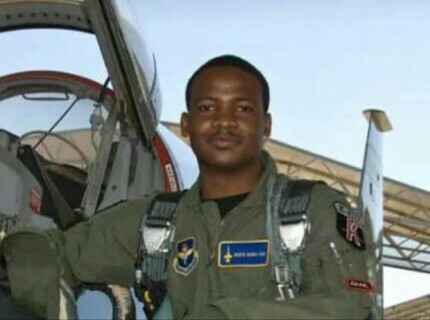 He was a dedicated and selfless pilot, fully committed to his work. RIP!